All these historical periods are well represented in town. Important roman remains can be found near the town walls in the area known as ex FAT (the old tobacco factory used to be here). Recent building works have brought to light an old, roman structure that some believe was an amphitheatre. Portions of a mosaics have been found on another building site and these confirm the writings of the Young Pliny (1st and 2nd century A.D.). 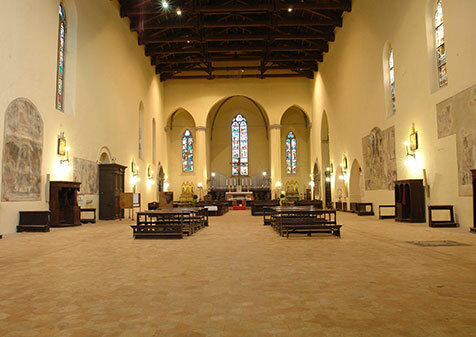 The medieval period is mainly represented by the monastery of San Domenico, the magnificent church and cloister. Beata Margherita is linked to this fourteenth century church. She was well-known for working miracles and is still venerated by the local people. Her body has been preserved and is visible in the church of San Domenico. 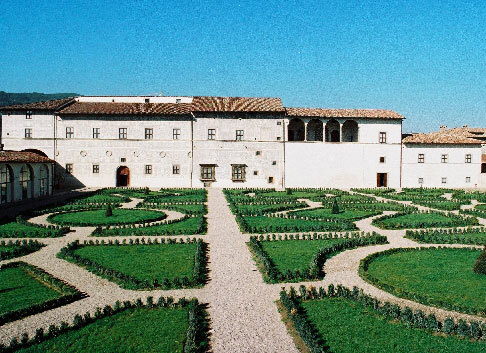 We can see a fine example of renaissance architecture in the Palazzo Vitelli alla Cannoniera, home to the Pinacoteca Comunale. It was built between 1521 and 1545 and the oldest part is in the centre of the actual building. Other four parts were added later. The Florentine influence can clearly be seen because the Vitelli family was in close contact with Florence. 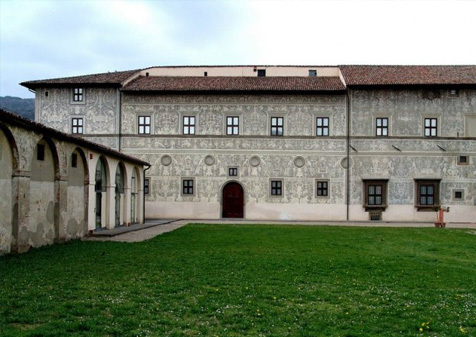 The external walls of the palace have graffiti designs drawn by Vasari and carried out by Cristofano Gherardi, known as il Doceno, in 1532. Near these two imposing buildings we can also see the large structure that was built in the seventeenth century to house the town hospital and was in use until 2000.